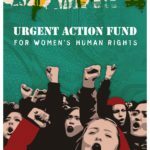 Urgent Action Fund researches questions of critical importance to women’s human rights activists, then publishes the results. 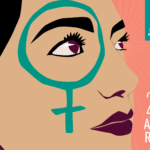 Each research project undertaken by Urgent Action Fund is grounded in our experiences as a grantmaker and our engagement with gender justice movements around the world. $1.7 million in grant dollars. 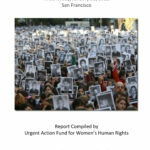 184 grants sustaining women's human rights organizing. Four sister funds supporting grassroots leadership in over 110 countries worldwide. The more just and equitable world we hoped for is on the horizon. 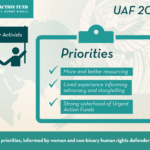 UAF 2020: Our Strategic Plan Our strategic plan outlines the scope of Urgent Action Fund's work from 2018 through 2020. 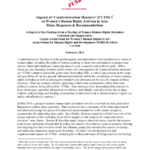 This comprehensive summary integrates our theory of change, the current human rights political landscape, and our strategic priorities. Feminist Resistance & Resilience (2018) [English] Urgent Action Fund Sister Funds turn an intersectional lens to the tidal wave of new restrictions, heightened violence, and existential challenges women's human rights activists endure from regions as diverse as Poland, Uganda, Honduras, Turkey, to Spain. Collective strategizing is needed as we prepare for the next decade of human rights organizing. Fondo de Acción Urgente Las Hermanas Fondos giran una mirada interseccional a la ola de nuevas restricciones, mayor violencia y desafíos existenciales que los activistas de los derechos humanos de las mujeres sufren en regiones tan diversas como Polonia, Uganda, Honduras, Turquía y España. 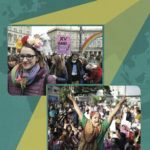 La estrategia colectiva se necesita mientras nos preparamos para la próxima década de organización de los derechos humanos. 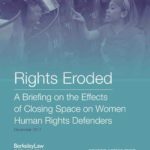 Rights Eroded: A Briefing on the Effects of Closing Space on Women Human Rights Defenders (2017) The second in a series, this briefing is the first legal report of its kind documenting the gendered experiences of women's human rights defenders amongst the growing trend of criminalized activism. 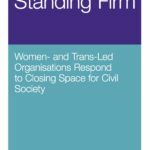 Standing Firm: Women and Trans-Led Organizations Respond to Closing Space for Civil Society (2017) In collaboration with Mama Cash, we offer this report as a tool, resource, and testimony to inform the understanding of how closing space, in all its forms, has a gendered impact. 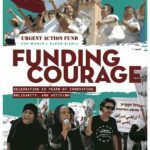 Funding Courage: Celebrating 20 Years of Innovation, Solidarity, and Activism (2017) For over 20 years, Urgent Action Fund has supported defenders in unforeseen crises and in unexpected moments of opportunity. 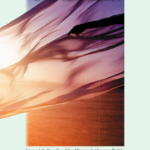 In our 20th report we share insights gleaned from our pioneering rapid response grantmaking model, consortium of Sister Funds, and holistic security focus. 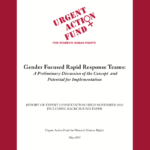 2016 Annual Report: #FundCourage Urgent Action Fund awarded a record 173 rapid response grants to protect & sustain women's, trans, and LBTQI rights activists worldwide. Our 2016 Annual Report shares their courageous stories. 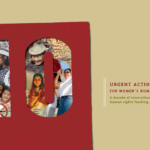 2015 Annual Report: Funding Courage Urgent Action Fund awarded a record 143 rapid response grants to protect & sustain women's and LGBTI rights activists in more than 40 countries worldwide. 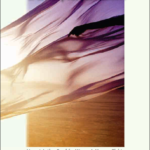 Our 2015 Annual Report shares their courageous stories. 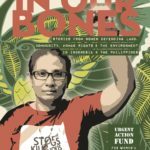 In Our Bones: Stories From Women Defending Land, Community, Human Rights and the Environment in Indonesia and the Philippines (2015) The report features the stories of nine grassroots women leaders working at the intersection of the environment, human rights, and gender equality. 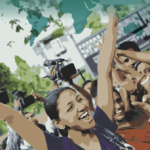 2014 Annual Report: Courageous Activists, Resilient Communities The courageous activists that Urgent Action Fund support make their communities more equitable, more just, and more resilient. We invite you to read their powerful stories in our 2014 annual report. 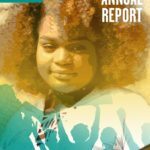 2013 Annual Report Use the hashtag #FundCourage to share why supporting courageous women and LGBTQ activists is important to you. 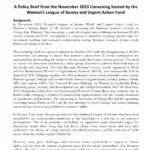 Policy Brief on Movement Building and Advocacy Priorities in Burma (2014) A Policy Brief from a November 2013 Convening for Burmese women's activists hosted by the Women’s League of Burma and Urgent Action Fund. 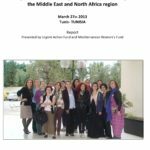 Report on Women's Human Rights in the Middle East and North Africa (2013) A strategic reflection on a one-day gathering with 20+ feminist activists from the Middle East and North Africa region in Tunis, Tunisia. IHRFG Pre-Conference Institute "Security of Human Rights Defenders: Supporting Grantee Safety" Report (2013) Summary of the International Human Rights Funders Group's (IHRFG) Pre-Conference Institute on "Security of Human Rights Defenders: Supporting Grantee Safety," held in San Francisco, CA on January 23, 2013. 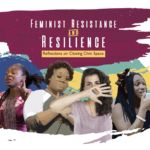 2012 Annual Report: 15 Years of Funding Courage Looking back at 15 years of funding courageous women's and LGBTQ movements striving to create cultures of justice, equality and peace. 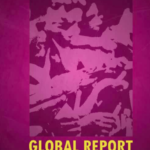 Global Report on the Situation of Women Human Rights Defenders (2012) A report created by the Women Human Rights Defenders International Coalition (WHRD International Coalition) to articulate the challenges faced by women human rights defenders and how best to respond to them. 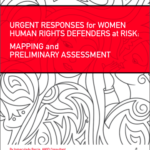 Urgent Responses for Women Human Rights Defenders at Risk: Mapping and Preliminary Assessment (2011) This mapping of resources for women human rights defenders was developed by Inmaculada Barcia and facilitated by the Association for Women’s Rights In Development (AWID) as part of its work as Chair of the Working Group on Urgent Responses for WHRDs at Risk of the Women Human Rights Defenders International Coalition. 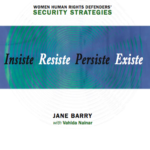 Insiste, Persiste, Resiste, Existe (2008) This document shares the voices of women human rights defenders (WHRDs) from all over the world. Each woman speaks of her experience combating violence and discrimination in complex contexts, such as situations of overt or hidden conflict, organized armed violence and rising fundamentalisms in Iran, Colombia, Nepal, Burma, Thailand, Algeria, Tunisia, Bosnia, Serbia and the Democratic Republic of the Congo. What’s the Point of Revolution if We Can’t Dance? 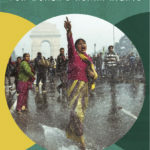 (2007) This book shares the experiences of more than 100 activists from around the world regarding the sustainability of their activism. 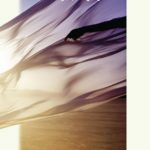 Topics include their fears, hopes, exhaustion, exaltation, grief, loss, pain, pleasure, humor, spirituality, funding crunches, backbiting and burnout, self-worth, desire, selfishness, and selflessness. 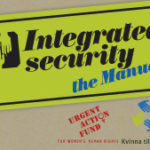 The book played a critical role in the development of Urgent Action Fund’s Sustaining Activism concept and helped to draw attention to this critical issue in funding and activist circles alike. 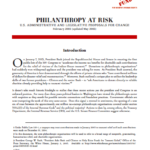 Philanthropy at Risk (2007) Outlines how the nonprofit sector has been saddled with major restrictions in spite of a complete lack of evidence that nonprofits are the source of any systematic or widespread violations of law or connections with terrorism. 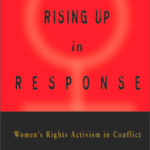 Rising up in Response (2005) A synopsis of Urgent Action Fund’s efforts to establish a deeper understanding of the work and obstacles facing women’s human rights activists within the international advocacy community. Voices of Solidarity (2005) International women activists share their perspective on the Hurricane Katrina Disaster in the United States. 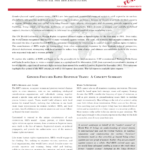 Gender Focused Rapid Response Teams (2003) This document offers an in-depth analysis of the Rapid Response Team (RRT) concept, provides a framework for exploring various options of how an RRT could be made active, and points out the traps and potential obstacles. 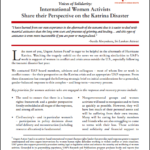 Gender Focused Rapid Response Teams Summary (2003) This summary highlights key points of the Rapid Response Teams concept and the expert discussion that UAF convened in London, England in November 2002.